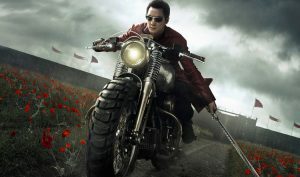 AMC’s hit, post-apocalyptic, dystopian, martial arts show Into the Badlands is about to start it’s third season. James Fouhey and Claire White are beyond excited to delve into it. James begins by describing the genre Wuxia, from it’s ancient origins in Taoist tradition to it’s realization in Hong Kong films. Claire then explains why AMC would invest so much money into a genre show with no recognized IP material. Our hosts conclude with their thoughts on the show, the action, the acting, and how much slow motion is too much slow motion.